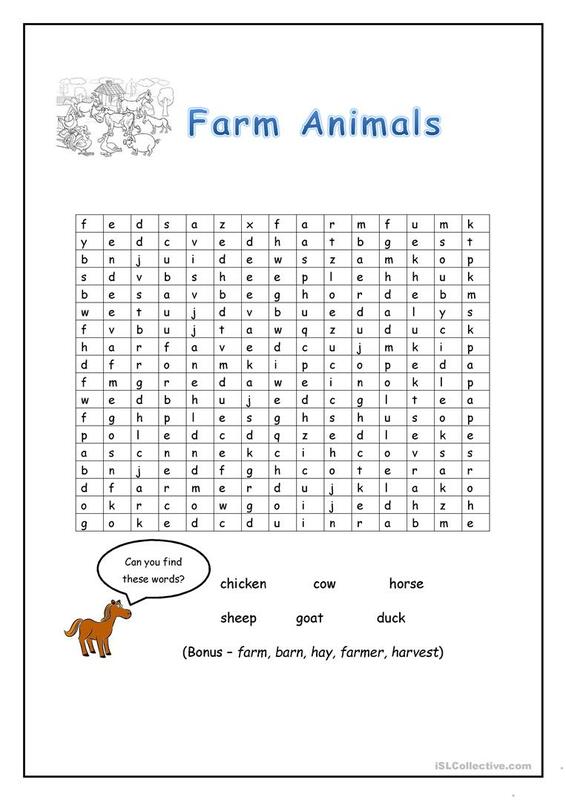 This activity can be used to practice the spelling of certain farm animals. It is a useful activity to practice previously learnt vocabulary. It is quite simple - students simply search for the words located at the bottom of the page, and circle each one. The above downloadable printable is meant for elementary school students at Elementary (A1) level. It is about the vocabulary topic of Animals.